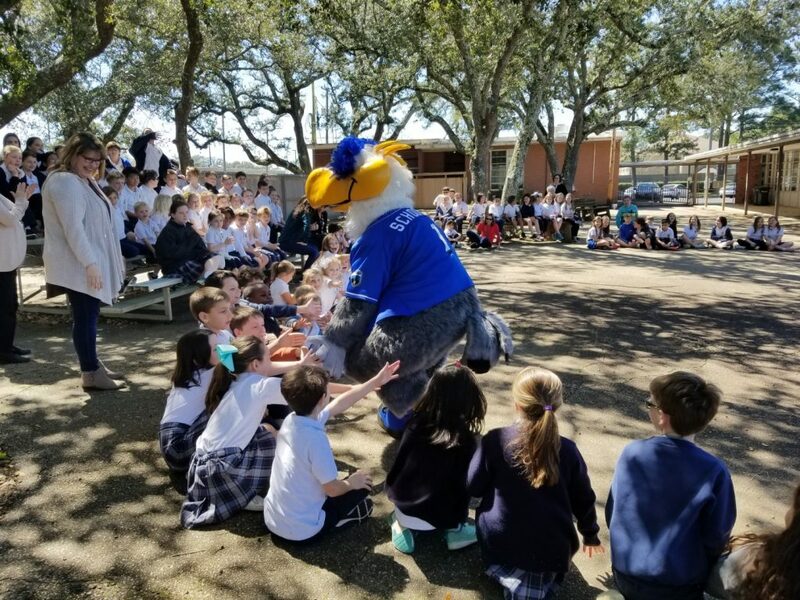 The Biloxi Shucker’s mascot, Schooner the Seagull, made a surprise visit to OLF Elementary to congratulate the students who met their AR reading goals for the third quarter. OLF Elementary uses Accelerated Reader to help students manage their reading skills and encourage reading. Goals are set quarterly for the students. “We want to thank the Shuckers and Schooner for coming over to congratulate our students for meeting their reading goals, said Cindy Hahn, OLF Principal. “We do our best to encourage our students to read and to enjoy reading”. Schooner and the students are looking forward to watching the Shuckers take the field. The Shuckers open the season on Thursday, April 4th versus the Birmingham Barons. Play ball!